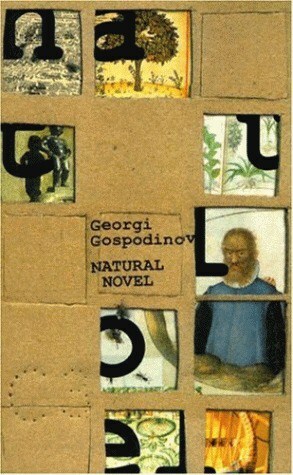 Georgi Gospodinov’s The Physics of Sorrow was recently short-listed for the Best Translated Book Award, but the first of his novels to appear in English was Natural Novel over ten years ago in 2005 (translated by Zornitsa Hristova), having originally appeared in Bulgaria in 1999. Reading reviews of The Physics of Sorrow only reminded me what a strange and unsettling novel Natural Novel had been, and the suggestion by Mytwostotinki that June be Bulgarian Literature Month seemed the perfect excuse to dig it out and read it again. However, overall, the novel never seemed in danger of becoming more than the sum of its parts, or indeed, the sum of its parts. It lack the cumulative power of, for example, David Markson’s This is Not a Novel. Despite the recurrent divorce proceedings, the reader’s emotional investment is slim, and though there are flashes of humour, wry smiles rather than tearful laughter is more likely: I would certainly dispute the claim displayed on the back cover that it is “insanely funny and moving.” On the other hand, it demonstrates a writer prepared to take risks, and for every chapter which misfires there is another where every word hits the mark. You are currently browsing the archives for the Georgi Gospodinov category.